Harmonix (Rock Band 4) has finally put a release date on their newest IP. The veteran music game developers will be releasing Super Beat Sports on the Switch on October 12. The game will be a Switch exclusive. 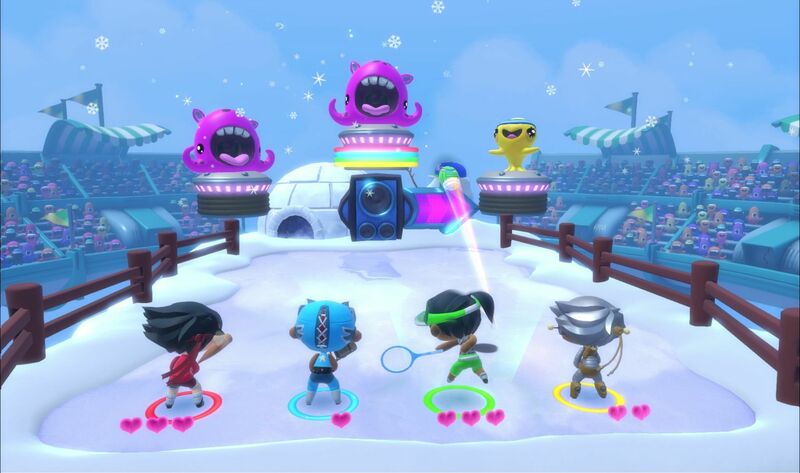 Super Beat Sports features a series of sports-inspired, rhythm based mini-games with adorable graphics and a catchy beat. Players will use the Joy-Con to swing, volley, and hit to the rhythm of the music as a group or solo. To introduce gamers to Harmonix’s musical takes on popular sports, Harmonix is releasing a series of trailers that re-imagines the game’s five mini-games as real life activities. Whacky Bat was revealed last week. This week brings us Net Ball, a weird tennis inspired game with a touch of beach volleyball. Trailers for Rhythm Racket, Buddy Ball and Gobble Golf will probably follow in the coming weeks.